Come see the Bay Area’s most family-friendly Nutcracker performance! This unique, full-length production includes a cast of 100 local dancers twirling alongside professional dancers. This exciting performance with a slightly reduced run time of 1.5 hours is sure to keep Dad and the kids awake with action packed scenes like the humorous battle between soldiers and a motley crew of cowboy and elderly mice. Children will enjoy seeing many young dancers in roles such as a gingerbread dog and a chocolate cat roaming around a childlike version of heaven. 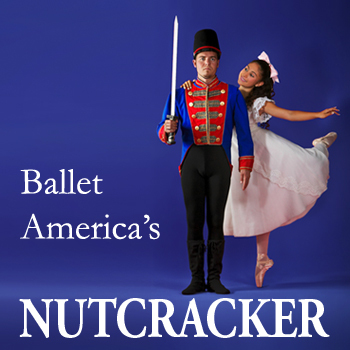 Ballet America’s Nutcracker is an entertaining and convenient way for the whole family to enjoy this holiday classic.